The “Bauschänzli” is Zurich’s very own miniature island – with a cozy beer garden under large chestnut trees. 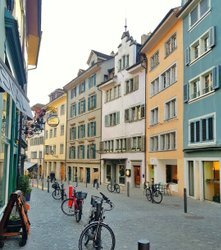 Located in the spot where Lake Zurich joins the River Limmat is Zurich’s best-known island: the Bauschänzli. The entrenchment was built around 1660 as part of the city fortifications and is one of the last surviving remains. 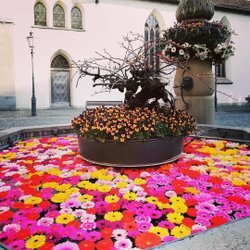 Much more interesting, however, is the current usage: nowadays, the Bauschänzli is home to a beer garden of the same name surrounded by large chestnut trees. 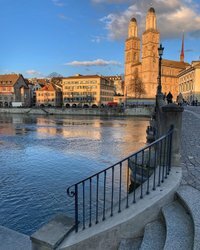 During the warm months, guests can not only enjoy the magnificent views of the Old Town, Lake Zurich, and the Alps on the horizon, but also feast on local culinary specialties or enjoy a refreshing beer. Whether in the cozy but lively self-service beer garden, in the riverside restaurant with waiter service, or in the Schänzli-Grill, which is also open on rainy days – there is something here to suit every taste and appetite. Restaurant with waiter service only in dry weather; the grill is also open on rainy days.